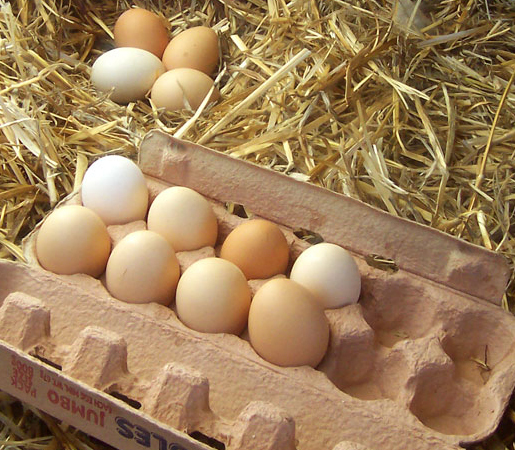 Free-range eggs are eggs produced from birds that are permitted outdoors for at least part of the day. The term “free-range” may be used differently depending on the country and the relevant laws. Eggs from hens that are only indoors might also be labelled Cage-free, Barn, Barn-roaming or Aviary. This is different from birds that are reared in systems labelled as Battery cages or Furnished cages.